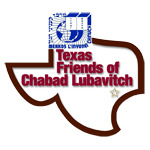 Mikveh Taharas Yisroel - Chabad Lubavitch Center - Texas Regional Hdqrtrs. Our Women's Mikveh houses a lovely waiting room, with three beautiful Mikveh preparation rooms, with all the amenities. Other programs include study groups; speakers bureau; pre-marital counseling for brides & literature. To schedule a Mikveh appointment for your desired time, please call the attendant at least one day - 24 hours - in advance. A seperate Men's mikvah is available for ritual use. Pay you mikveh dues and fees here! First Dishes Mikveh in Houston makes the toveling of dishes a pleasure! Check who is on call each day of the week for this month. Please call attendant at least one day in advance!